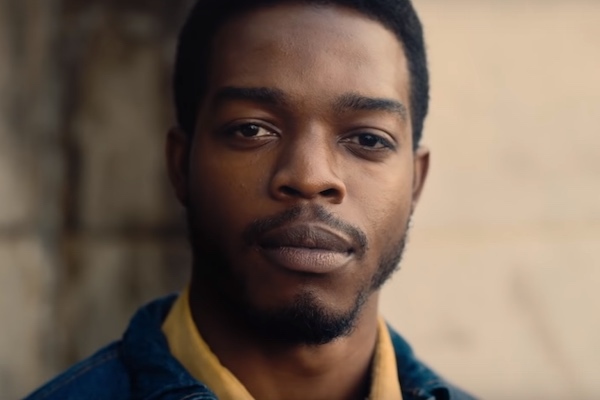 I attended the advanced screening of “If Beale Street Could Talk” courtesy of WeAreSlyFox, with a special shout out to the Film Curation team at The Museum of Fine Arts, Houston. Albeit, I was given the wonderful opportunity to see the movie, blog posts and promotion of the movie were not asked of me. Thus, this blog post and all my fawning over the movie whilst live tweeting the Director’s Q&A after the movie – yeah… that’s all ME. All my feels and feelings. All me. I said all that to say that my opinion is my own and does not represent the organizations listed above. Oh! And I’m really thankful and humbled I got to see the advanced screening. Oh! There are spoilers in this review. Let’s talk cinematography first. This is what Barry Jenkins was born to do. I believe he has a divine gift. I believe that with my whole, movie watching soul. The entire one hour and fifty-nine minutes was an event of beauty. I found myself lost in images of beautiful Black bodies, expressions, emotions, anguish, Black American reality and the cinematic representation of Black American beauty through Black humanity. It was breath-taking. It was a feast for the eyes, every detail was done in a superlative fashion. One of the things you will fall in love with during the film is the lighting. Tish (played by Kiki Layne) seemed to be enhanced and seem almost supernatural by how Jenkins lighted her face as she expressed love, happiness, excitement and sadness. It was enthralling because you couldn’t help but attach yourself to Tish’s emotion because the story is told from her point of view but moreso because you are drawn to her spirit – through the lighting. Kiki Layne did an excellent job as Tish, by the way. For those of us who read the book, you will be best pleased with her performance. Another thing of beauty was the richness of the locations and the scene backdrops, some were stunning, airy, light and beautiful – others were dark, alluring, sensual, they had a sense of danger and despair. Jenkins has an eye for enhancing the regular aspects of human nature and making what is a regular act of humanity seem surreal. 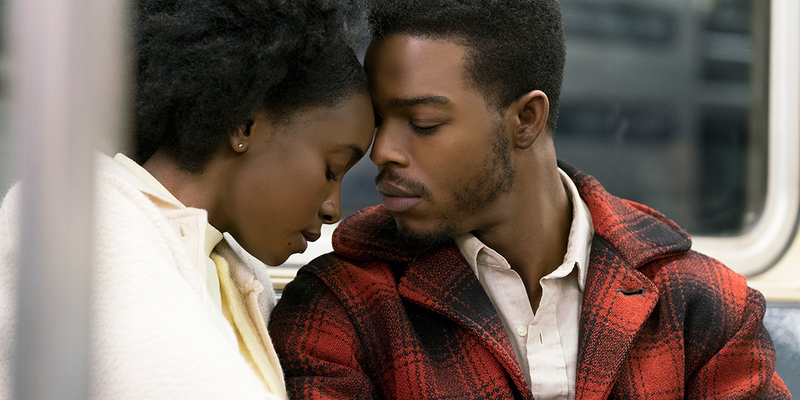 What is undeniable is that Stephan James (Alonzo ‘Fonny’ Hunt) and Kiki Layne (Tish Rivers) had an amazing chemistry in this movie. Watching them reenact this love story between Tish and Fonny, made an old bitter spinster like me believe in Black love again (at least for the entire duration of the movie… ha!!!!) They did an excellent job letting the audience get lost in their perspectives and how they conveyed the characters seemed so natural and innate. 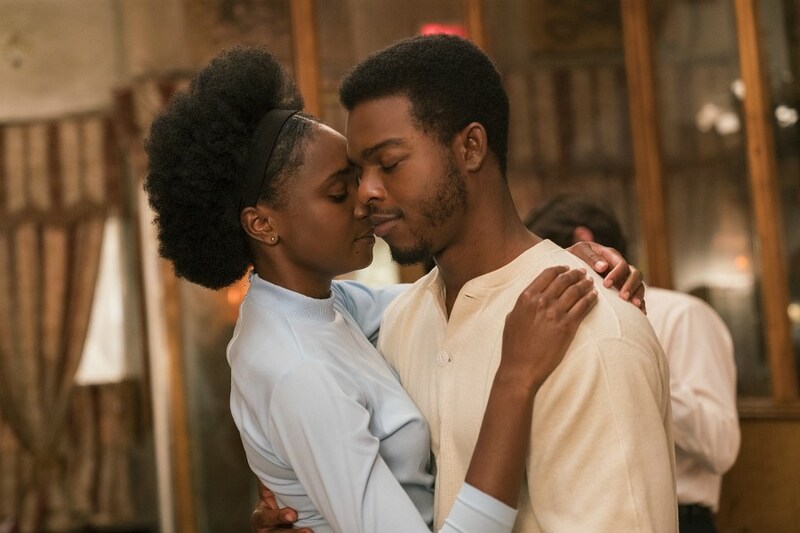 As a long time James Baldwin fan, I can appreciate that both of these great actors came close, if not spot on to what I thought Tish and Fonny could be when I was reading the book. Then the combination of Regina King (Sharon Rivers) and Colman Domingo (Joseph Rivers) was a masterclass in portraying Black American life, love and determination. These two power houses gave such realistic, intense but enduring performances. There is a scene where Regina King (Sharon Rivers) looks into a mirror before a pivotal meeting and just King’s look and motion were a thing of absolute artistry. She can act with just her glorious and gorgeous eyes. It was a powerful moment about motherhood, womanhood, real beauty, self awareness and possibly self actualization. No one told me that “Paper Boy” was going to be in the movie. LOL! Let me be serious – I adore the acting by Brian Tyree Henry. I’m a huge fan because he is a very complex, authentic and enchanting actor. You don’t know what he is going to pull out of a role, but you are guaranteed to be intrigued. Brian Tyree Henry (Daniel Carty) did exactly that. He morphed that character from the book. There was an air of desperation, soul crushing brokenness but resounding humanity that he brought to that character that I was not expecting. The scene between Fonny and Daniel was brilliantly shot. The volley in conversation versus the volley in the movement of the camera was not to be missed, in fact it created this very palatable, emotional crescendo. There was an intensity between the two characters and then there was this poignant moment of foreshadowing that was in your face but you could’ve overlooked it because you were waiting for Daniel to break down completely. Brilliant scene. Kudos again to Jenkins for his wizardry behind the camera. Being a Black American (descendant from Chattel Slaves) everything that James Baldwin wrote resonated within me. It stirs my soul. How could it not? My family is of this land and of the injustice of American chattel slavery and institutionalized discrimination against Black Americans. This movie touched that sleeping giant within me and danced with it. So growing up in poverty, being considered less than because I didn’t come from a “good family” [you’ll get this in the beginning of the movie…] and also witnessing Black mothers and Black fathers working to help their children survive is intrinsically tied to my childhood and young adulthood. You don’t get to escape it. I’m glad that poverty, discrimination, injustice, racism… was all highlighted in the film because you got a real sense of how those things weigh down love, they weigh down humanity and they prevent opportunity. You wanted Tish and Fonny to “win” in life – but life as Black American citizens came with peril and unfairness. I loved how Jenkins captured Black love in this film. Black love is like all love, gentle, inquisitive, intriguing, complex and sublime in every moment of its inception to its demise. We need to see more movies where Black men and women are in synergy with one another. I like how Jenkins kept the “feel” of Tish and Fonny’s love. They had soul-ties. They were soulmates. They were more than young lovers. Their love was something ethereal, divine and beautiful. I could waffle on. I really could but I want YOU to see the movie. It is being released in Houston on December 25, 2018. Other major metro(s) in the USA may pick up the film earlier. Read the book. Then go see the film. See the most beautiful and emotive movie of 2018. I leave you with some tid-bits – ciao for now.